Separate Tropical Food’s PB&J Mix® so all cranberries are in a bowl, peanut butter chips in a bowl and peanuts in a third. Finely chop peanuts from PB&J Mix® and set aside. Whisk together pumpkin, ¾ cup brown sugar, egg, spices, half of the cranberries and all of the peanut butter chips from PB&J Mix®. Whisk in whipping cream and set aside. In another bowl, mix together ½ cup brown sugar and 1 cup chopped peanuts from PB&J Mix® to form crumble; set aside. 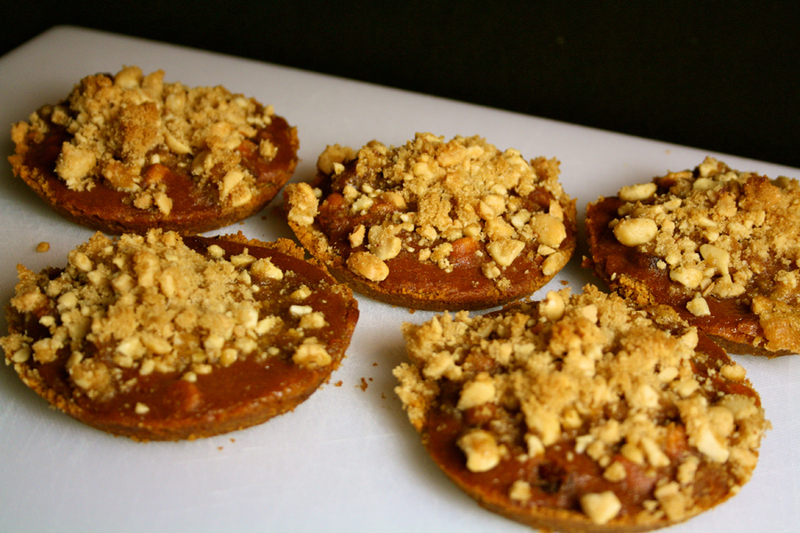 For crust, mix together graham cracker crumbs, melted butter and ¼ cup chopped peanuts from PB&J Mix®; pat into pie tins. Bake in oven for 5 minutes or until firm. Pour pumpkin mixture into pie tins. Sprinkle crumble mixture on top of each pie and bake pies in oven for 20 minutes or until pies are browned. Garnish with leftover cranberries from PB&J Mix®. On October 9th, 2012, Tropical Foods had its Flavors of the Fall Recipe Contest with the culinary students at the Charlotte Campus of Johnson & Wales University. 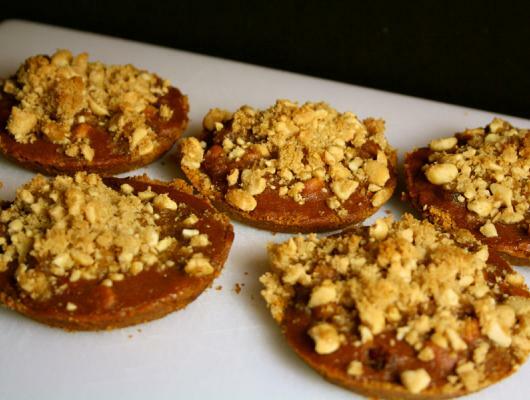 This recipe, “Not Your Granny’s” Pumpkin Pie Minis, was created by Tokecia Davidson.